WASHINGTON, D.C. (March 16, 2018) – (RealEstateRama) — The delinquency rate for mortgage loans on one-to-four-unit residential properties fell to a seasonally-adjusted rate of 4.63 percent of all loans outstanding at the end of the first quarter of 2018. The delinquency rate was down 54 basis points from the previous quarter, and was eight basis points lower than one year ago, according to the Mortgage Bankers Association’s (MBA) National Delinquency Survey. The percentage of loans on which foreclosure actions were started during the first quarter was 0.28 percent, up three basis points from the last quarter, but down two basis points from one year ago. “Mortgage delinquencies decreased from the previous quarter across all loan types – conventional, VA, and in particular, FHA – as the effects of the September hurricanes dissipated,” according to Marina Walsh, MBA’s Vice President of Industry Analysis. The FHA delinquency rate declined by 136 basis points over the previous quarter – the largest single-quarter decline reported for the National Delinquency Survey data series. The conventional and VA delinquency rates declined by 41 basis points and 17 basis points respectively from the previous quarter. On a year-over-year basis, the overall mortgage delinquency rate increased by 93 basis points for FHA loans, dropped by 26 basis points for conventional loans, and increased 42 basis points for VA loans. Mortgage delinquencies dropped across all stages of delinquency in the first quarter of 2018 compared to the fourth quarter of 2017. The 30-day delinquency dropped 27 basis points from the previous quarter, while the 60-day and 90-day delinquency buckets dropped by 9 and 18 basis points respectively. The delinquency rate includes loans that are at least one payment past due but does not include loans in the process of foreclosure. The percentage of loans in the foreclosure process at the end of the first quarter was 1.16 percent, down 3 basis points from the fourth quarter of 2017 and 23 basis points lower than one year ago. This was the lowest foreclosure inventory rate since the third quarter of 2006. In addition to the strong economy and increasing home equity levels, extended storm-related foreclosure moratoria continue to play a factor in keeping foreclosure inventory at historic lows. The serious delinquency rate, the percentage of loans that are 90 days or more past due or in the process of foreclosure, was 2.61 percent in the first quarter of 2018, a decrease of 30 basis points from last quarter, and a decrease of 15 basis points from last year. Both Texas and Florida appear to be past the peak delinquencies that immediately followed the hurricanes. The non-seasonally-adjusted overall mortgage delinquency rate in Texas dropped by 171 basis points to 5.62 percent in the first quarter. Prior to the hurricane in the second quarter of 2017, the overall delinquency rate for Texas was 5.05 percent. In Florida, the non-seasonally-adjusted overall mortgage delinquency rate on all loans dropped 230 basis points to 6.59 percent in the first quarter. Prior to the hurricane in the second quarter of 2017, the overall delinquency rate for Florida was 4.07 percent. Four out of the top five states with the highest 90+ day delinquency rate in the first quarter of 2018 were impacted by the hurricanes: Florida, Mississippi, Louisiana and Texas. The remaining state was New Jersey. Please note: while forbearance is in place for many borrowers affected by these storms, MBA’s survey asks servicers to report these loans as delinquent if the payment was not made based on the original terms of the mortgage regardless of any forbearance plans in place. PLEASE NOTE: If you are a member of the media and would like to view the report please email Ali Ahmad at "> or call (202)557-2727. If you are a member of the media would like access to a specific state’s statistics, email "> or call (202)557-2727. If you are not a member of the media and would like to purchase the survey, please visit www.mba.org/NDS or e-mail "> . © 2018 Mortgage Bankers Association (MBA). All rights reserved, except as explicitly granted. 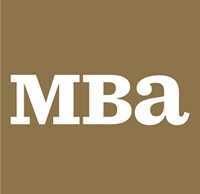 Data are from a proprietary paid subscription service of MBA and are provided to the media as a courtesy, solely for use as background reference. No part of the data may be reproduced, stored in a retrieval system, transmitted or redistributed in any form or by any means, including electronic, mechanical, photocopying, recording or otherwise. Permission is granted to news media to reproduce limited data in text articles. Data may not be reproduced in tabular or graphical form without MBA’s prior written consent.